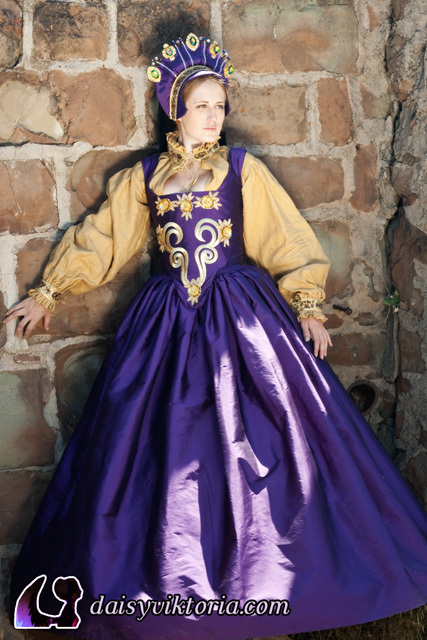 This is based on early Elizabethan fashion with a fantasy twist. 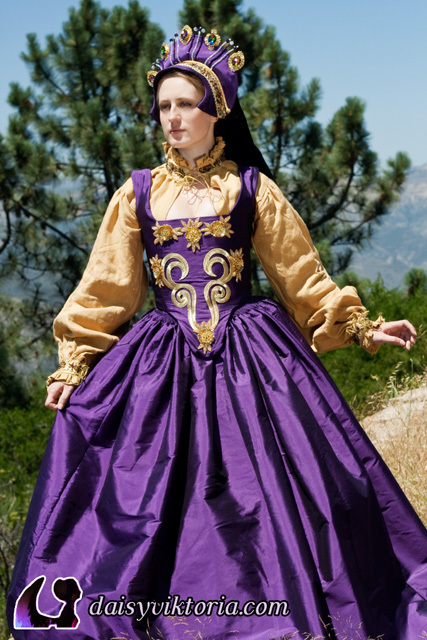 The gown is made of purple silk with gold applique on the bodice and a cartidge pleated skirt. 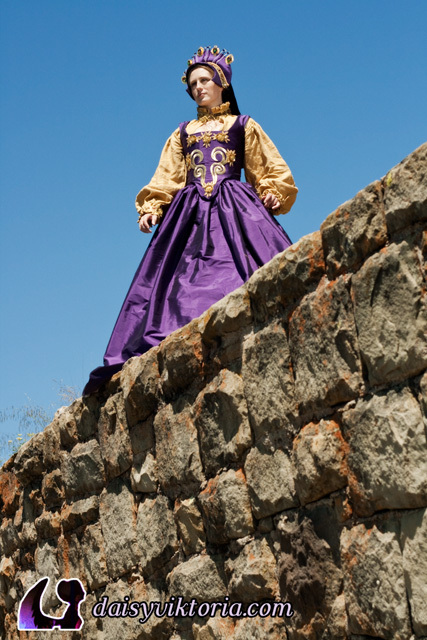 The smock is gold linen with beaded trim. 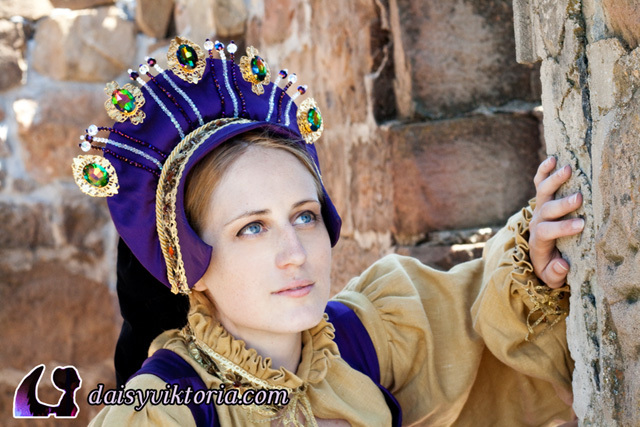 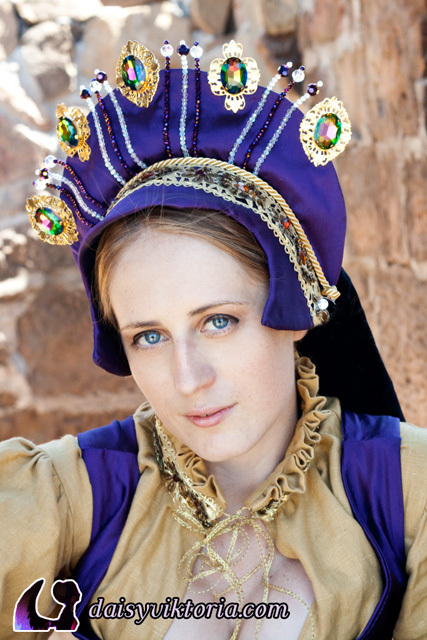 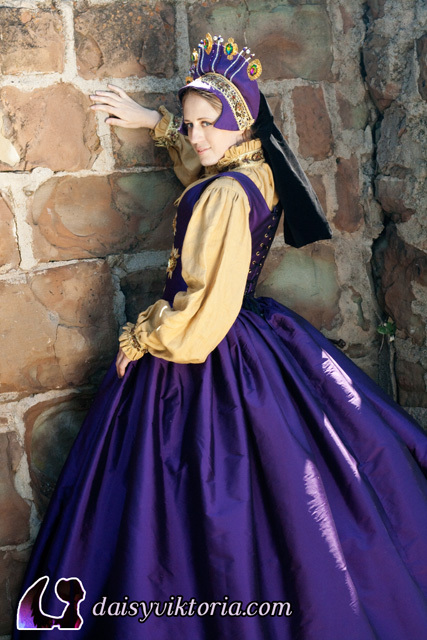 The French Hood is silk and velvet with beads and gemstones for a very elaborate look. 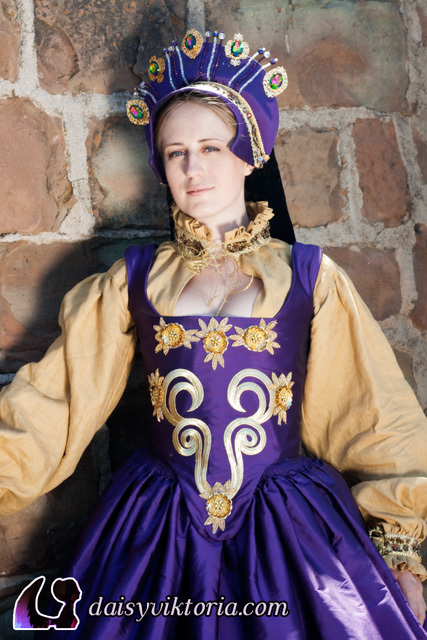 The gown is worn over a farthingale and corset.